I finally heard of Haruki Muramaki when his latest novel, Colorless Tsukuru Tazaki and His Years Pilgrimage, was released in the summer 2014. It was on the Books of the Nightstand podcast where several independent bookstores across the country were having Murakami parties upon its release. I thought this kind of fanfare was only reserved for writers like Stephen King, Neil Gaiman, or J.K. Rowling. I was intrigued to find out about Haruki Murakami and why he’s beloved by so many readers. I decided to start off my 2016 Reading Year with a Murakami novel. Dance Dance Dance is a lesser known in the author’s ouevre. The novel revolves around an unnamed protagonist who is searching for a former girlfriend that has suddenly vanished from his life. The search takes him from Tokyo to Sapporo, Japan, and even to Honolulu as well. Murakami shows readers through the lens of a detective novel how the late 1980s contemporary Japanese culture was dealing with the effects of hypercapitialism. The unnamed protagonist begins to learn more about this former girlfriend through the connections of a thirteen year old girl with “psychic” abilities who has been abandoned by her artistic parents, a female employee from the hotel where he had last seen the woman, a troubled childhood friend who has become a famous actor and a mysterious person called the Sheep Man. The intertwining relationships with the unnamed protagonist gave the novel a ethereal, surreal quality that did not totally convince me. There was an aimlessness direction to the story that kept me offguard throughout the entire reading experience. I connected with the teenage girl and her relationship with the unnamed protagonist and could have seen an entire novel written around those two characters. The rest of characters (especially Sheep Man) seemed airy and distant. I could not feel their presence in the novel. Dance Dance Dance was not a bad novel by any means. I loved Murakami’s pop culture references (especially his love of jazz) and his direct, abrupt prose. But I will admit that the entire story did not fully grab my attention. 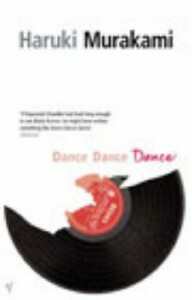 I would not recommend Dance Dance Dance for 1st time readers of Murakami, but suggest you try one of his more well known novels like Hard-Boiled Wonderland and the End of the World, The Wind-Up Bird Chronicle, or the aforementioned Colorless Tsukuru Tazaki and His Years Pilgrimage instead. Dance Dance Dance would be for Murakami readers who want to complete their collection.